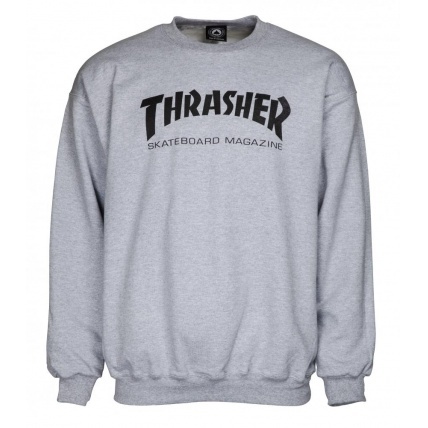 Official Thrasher Skateboard Magazine Sweater Jumper in grey. 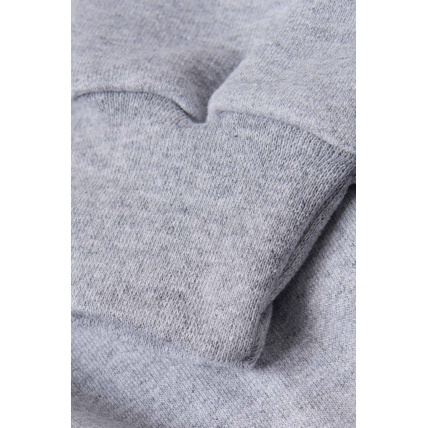 Not to thin, not too thick and super comfortable for those long summer evening sessions. Thrasher Magazine needs no introduction as the worlds leading and longest running skateboarding magazine, with 30 yeard behind them, they know what they're doing. 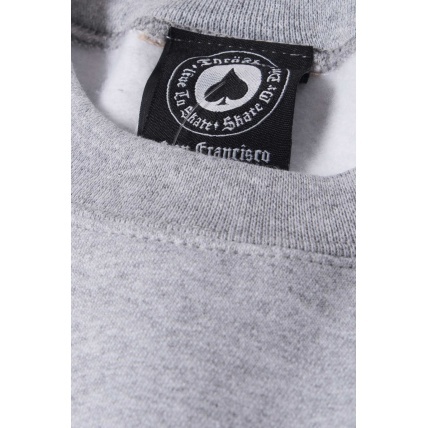 One thing for sure is Thrasher know how to make great looking and great feeling clothes, this crew jumper is no exception with magnificent attetion to detail. 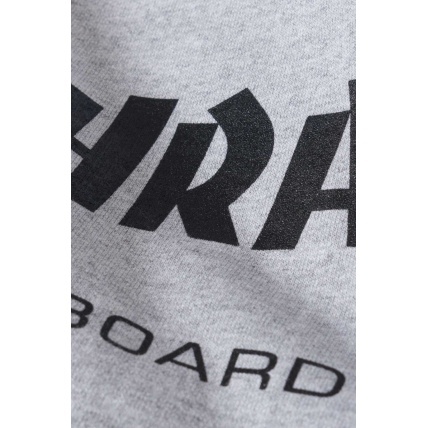 The Thrasher Skateboard Magazine Crewneck is probably one of the most iconic, and popular jumpers in the skating industry. There really is no excuse to grab yours now.